LOS ANGELES -- The owner of a 7-Eleven in California that sold a winning Powerball jackpot ticket is an Indian man who came to the United States in 1981. Balbir Atwal previously worked as a salesman for an electronics company and decided he wanted to start his own business. So at age 27, he bought his first 7-Eleven. He now owns four stores. 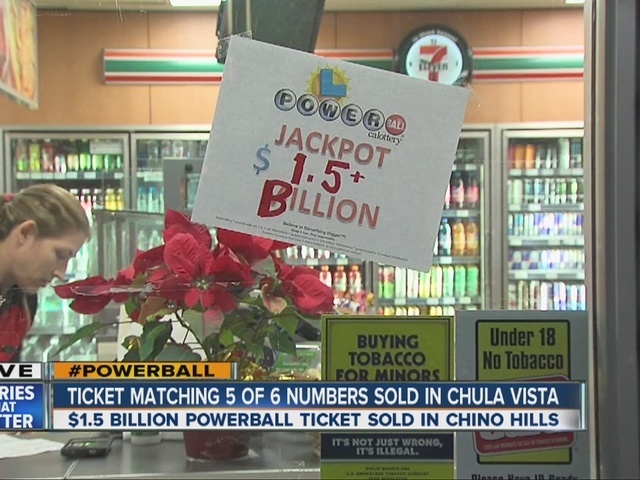 The one in Chino Hills, where the winning ticket was sold, was the third franchise he purchased and he has owned it for 24 years. Lottery officials say that in addition to the three winning jackpot tickets, there were eight tickets that won $2 million and 73 that netted $1 million. The stores that sold the winning jackpot tickets will be rewarded as well. The 7-Eleven in Chino Hills will get $1 million. A Publix grocery store in Melbourne Beach, Florida, will get $100,000 and an unidentified store in the small Tennessee town of Munford will get $25,000. On Thursday morning California Lottery spokesman Russ Lopez presented a symbolic check to Atwal which he will split with 7-Eleven. The jackpot of $1.6 billion will be split three ways. The winners overcame odds of 1 in 292.2 million to land on the numbers drawn Wednesday night. They can take the winnings in annual payments spread over decades or a smaller amount in a lump sum.